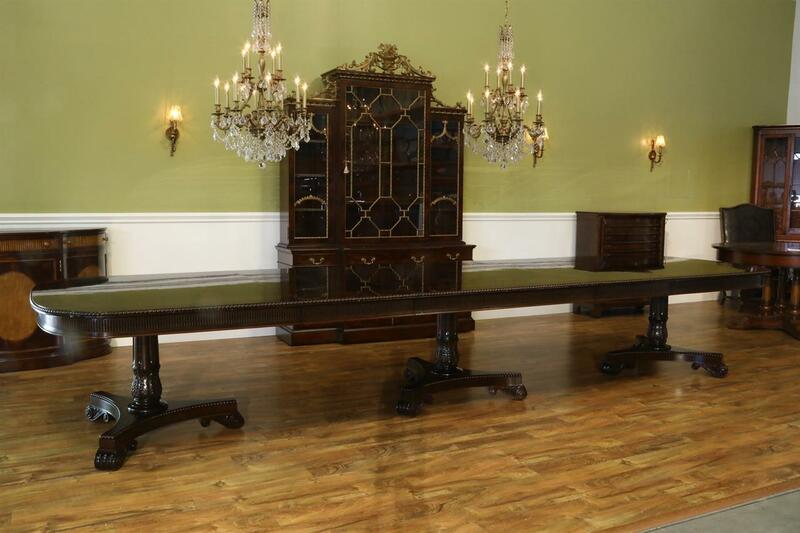 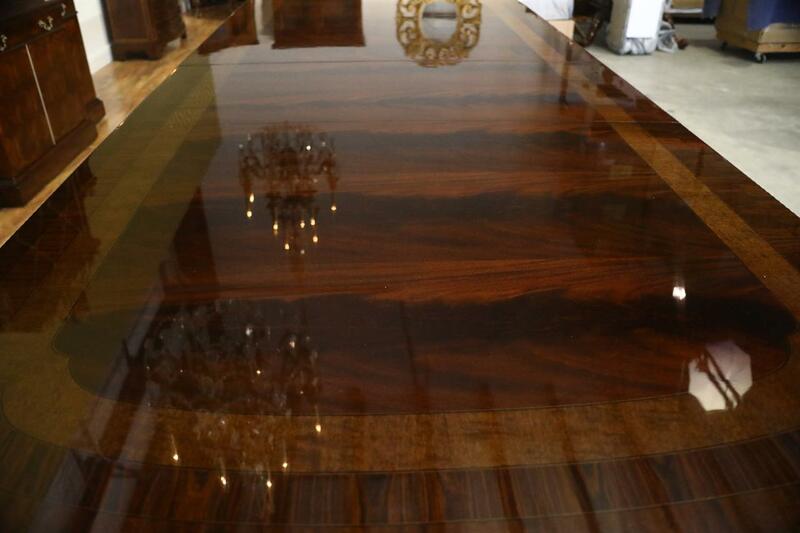 Description: Extra large 15 foot American made mahogany banquet table. 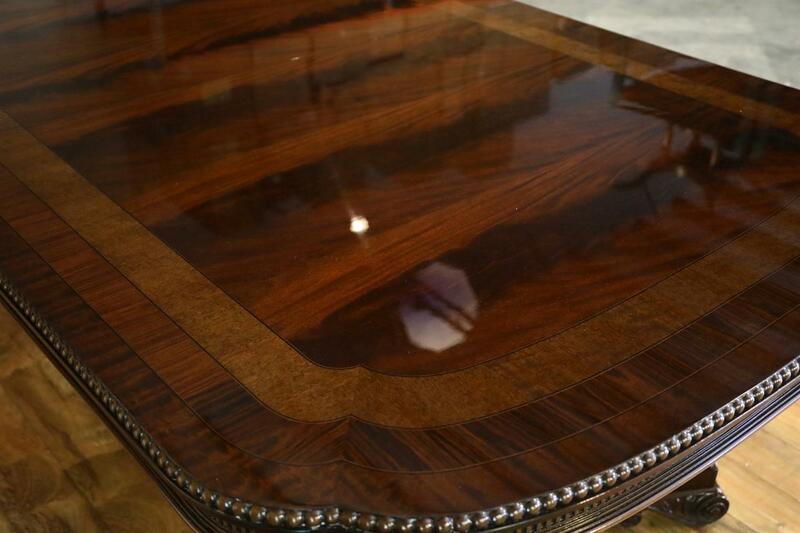 A finely and newly finished American masterpiece. 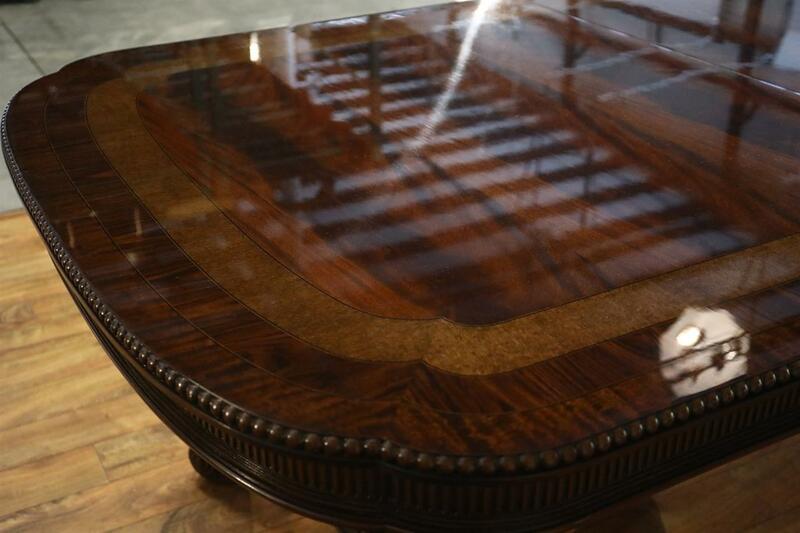 This table has round carvings along the apron and along the pedestals. 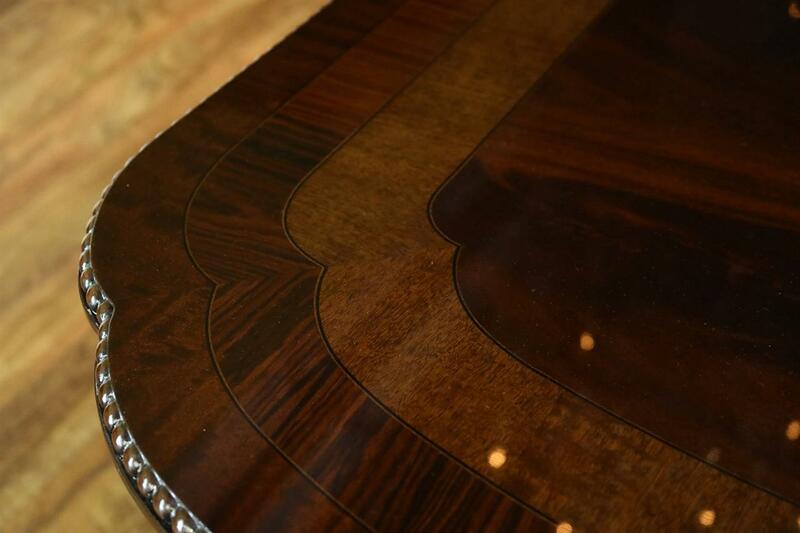 Apron is also decorated with fluting. 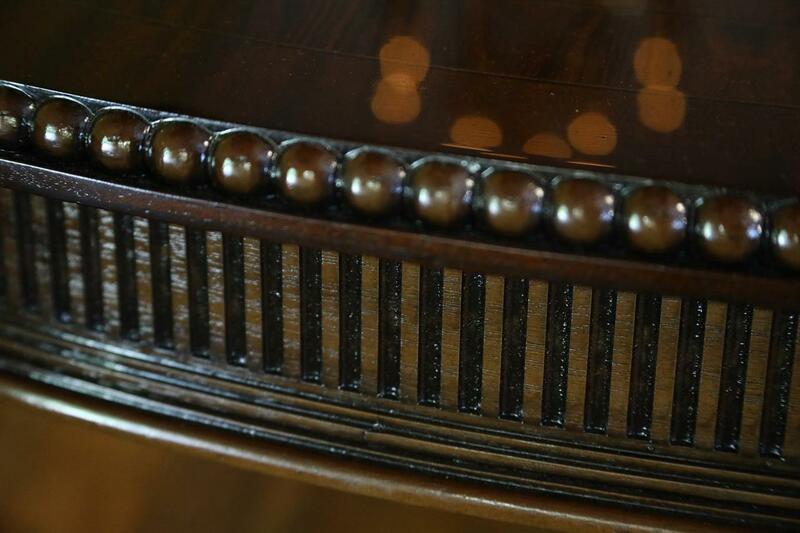 Sturdy American made steel slides. 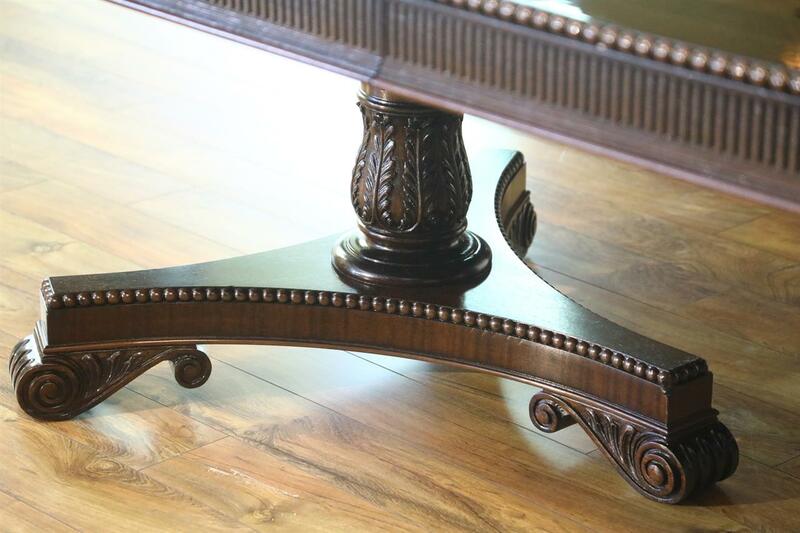 This table is 133 inches long but it has two leaves which open the table to 179". 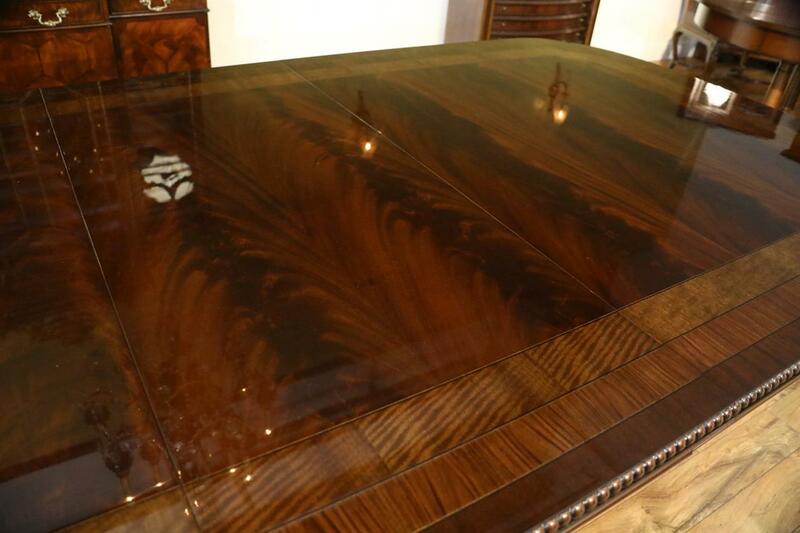 The finish is very rich and shines like glass. 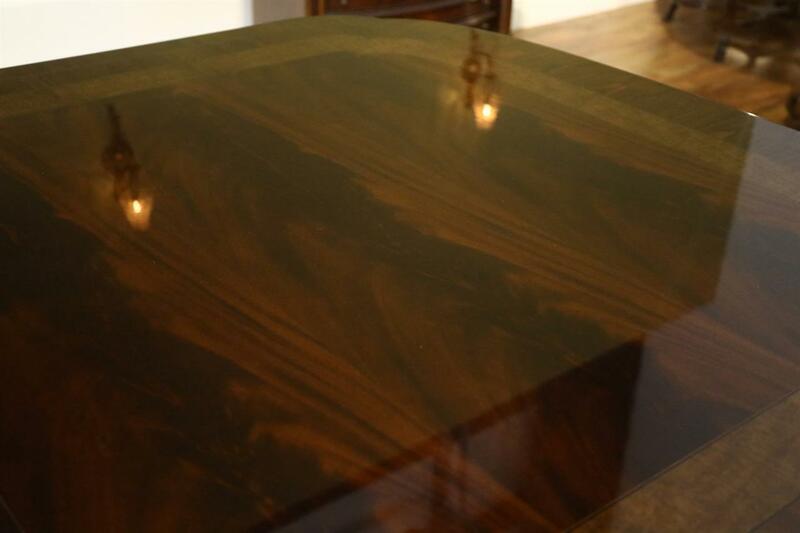 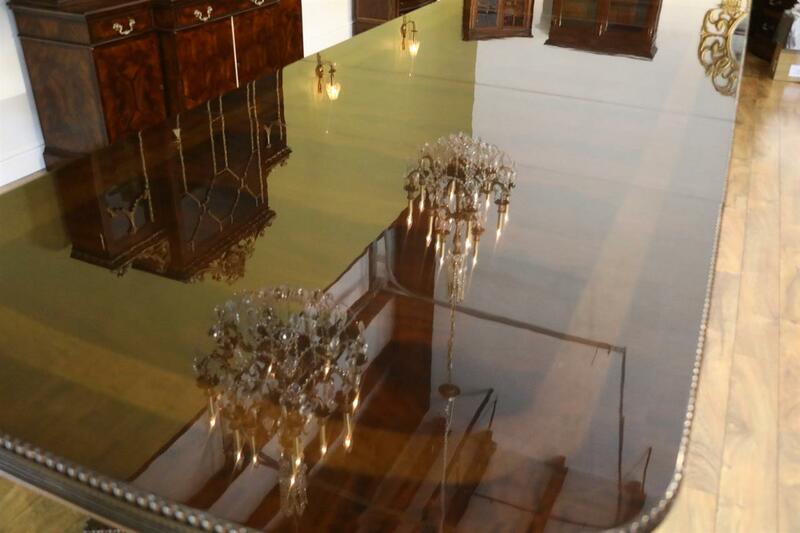 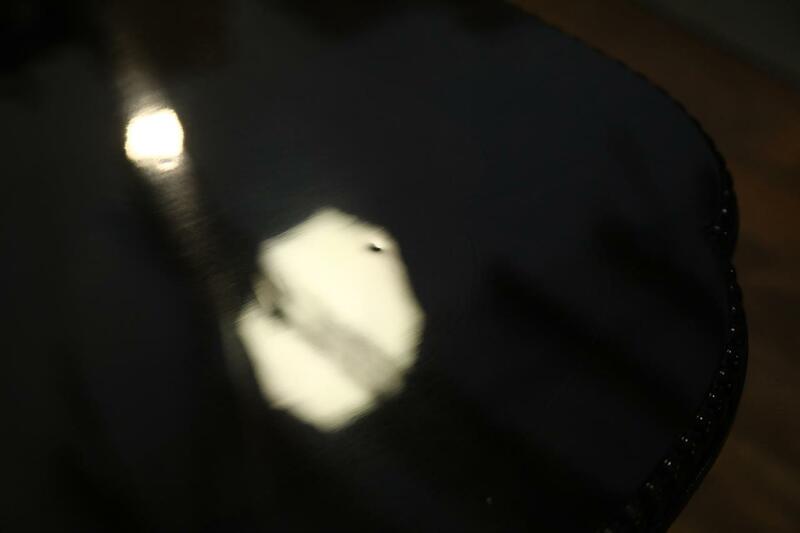 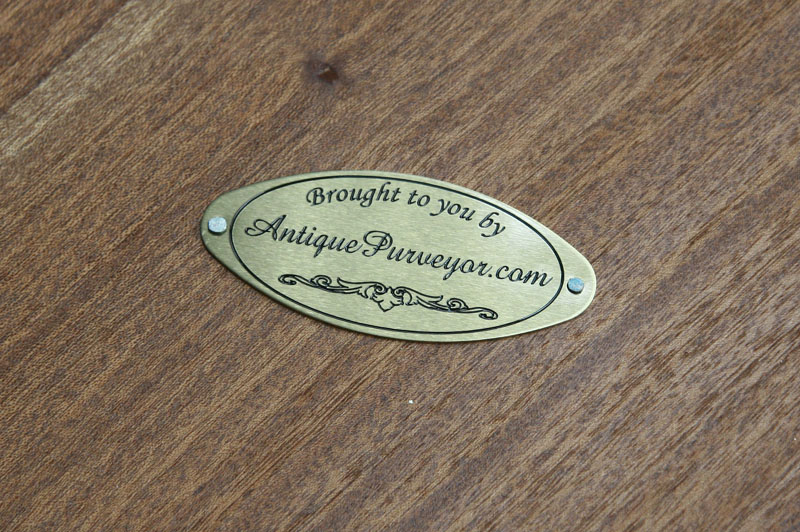 Table has a razor thin finish, it shines but it doesnt have a heavy finish. 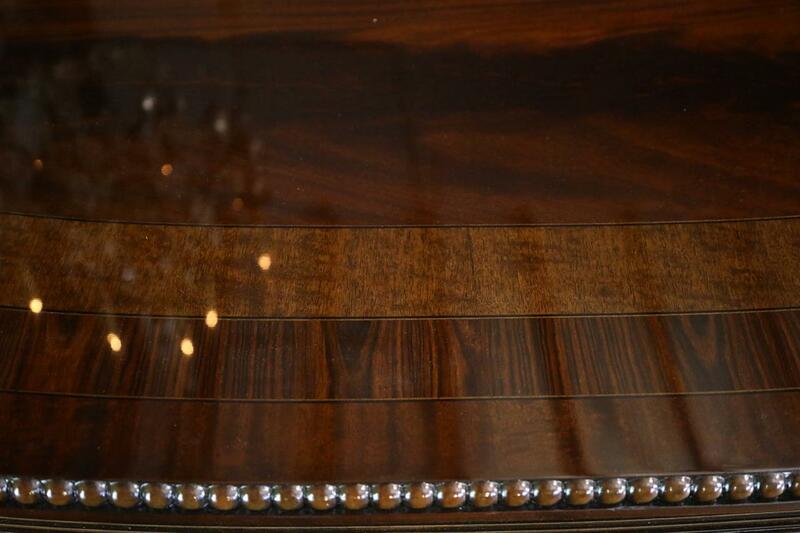 Finish looks like a French polish and this extra rich and dark finish will coordinate well with other high end traditional furniture, even if you are mixing old and new furniture. 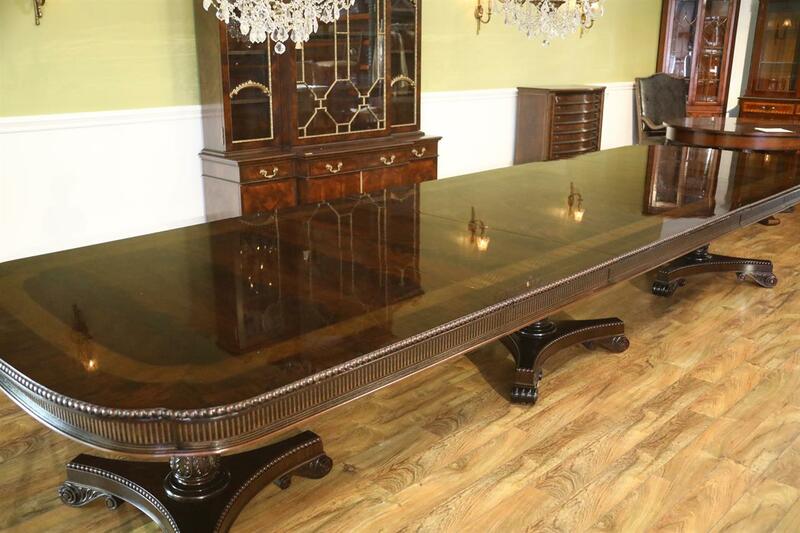 It has old world charm, but it is a new table. 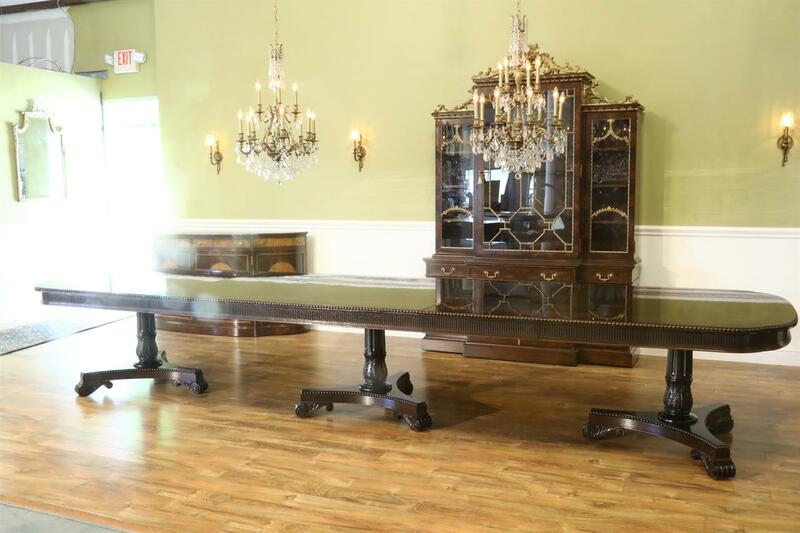 Measurements: 133 - 179 inches with two 23" leaves.